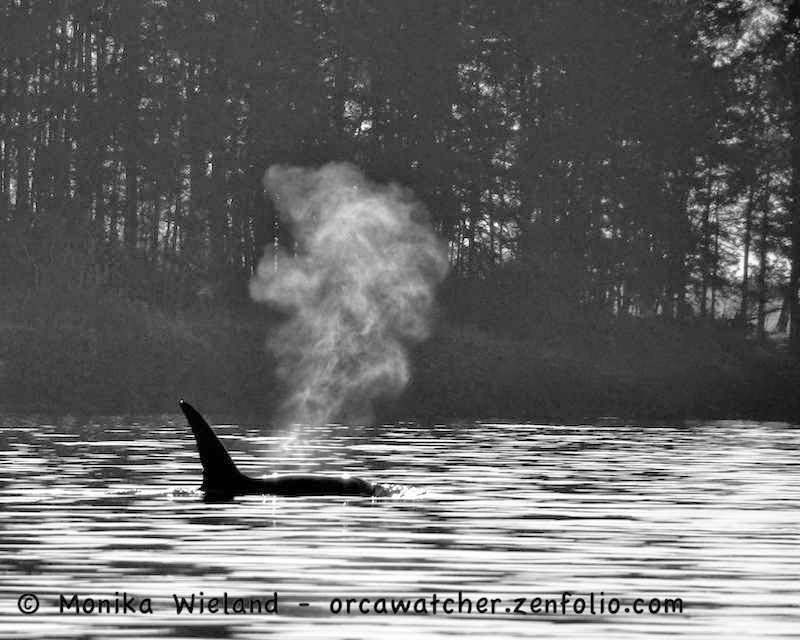 Orca Watcher: It's T Time! 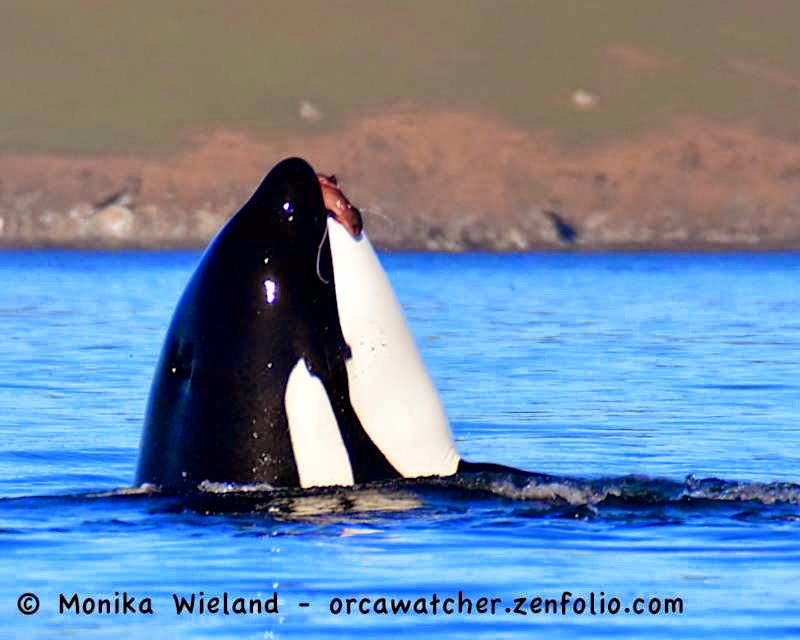 As we get into March and April, we hopefully anticipate whale sightings to start increasing. 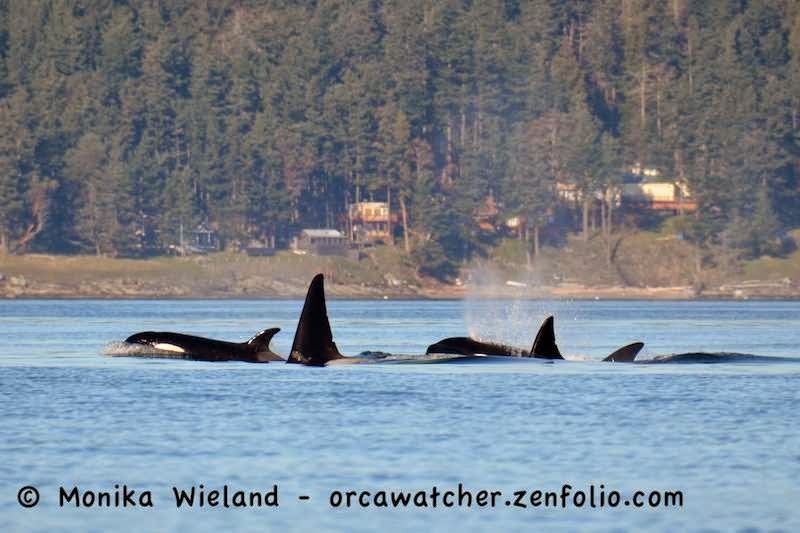 In years past, this is the time the residents start to spend more time around the San Juans, and in more recent years with the residents elsewhere it has been a time of abundant transient sightings. So far, March is shaping up to be a transient kinda month! They were swimming in circles, intermittently fanning out and then joining up again. That unpredictable surface behavior combined with long dive times led to this unexpected close surfacing by T19B. 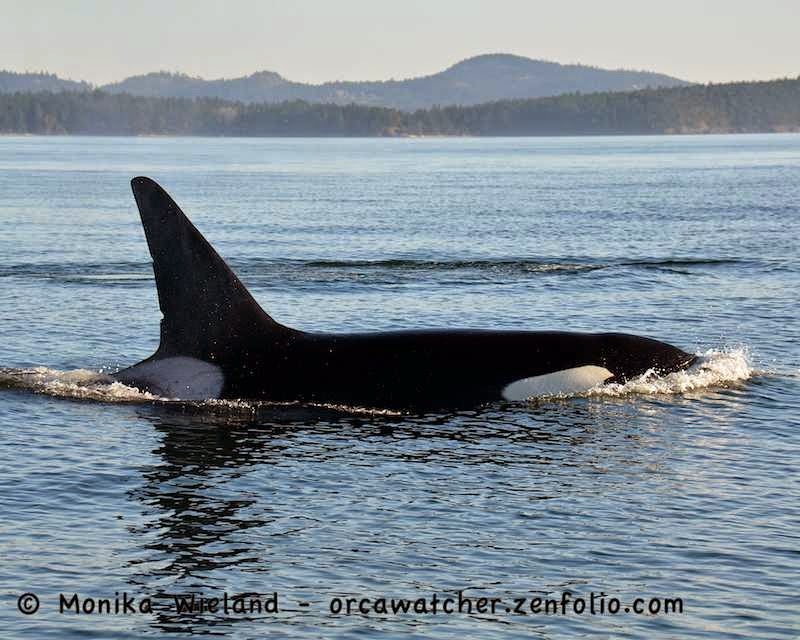 I've seen this whale a decent amount over the years, and he's definitely grown up, because our little boat felt downright tiny as he approached! 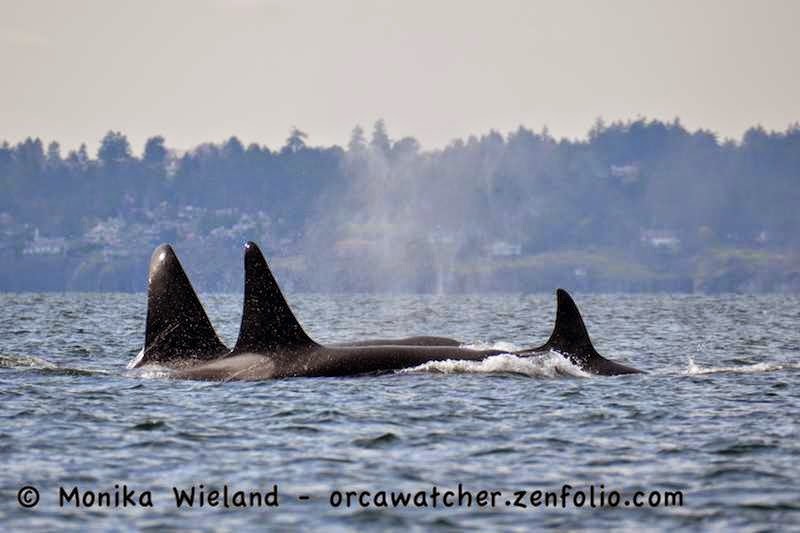 Because I had to get back to work, we just had a short jaunt out on the 5th, though I heard later on that these whales met up with the T60s and T2B. On Saturday, March 7th, the weather was just to beautiful to not get on the water again. 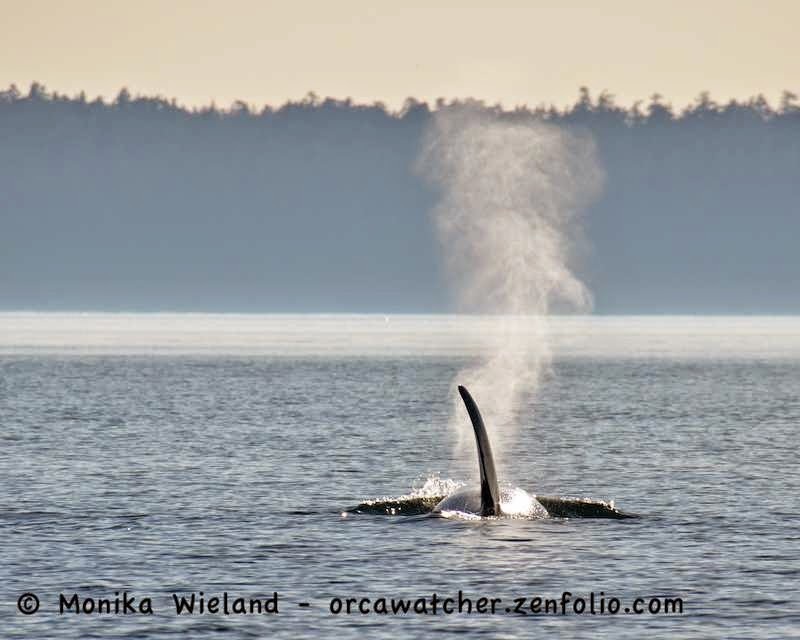 I wanted to wait until the afternoon, hopeful that whales would show up....and they did! 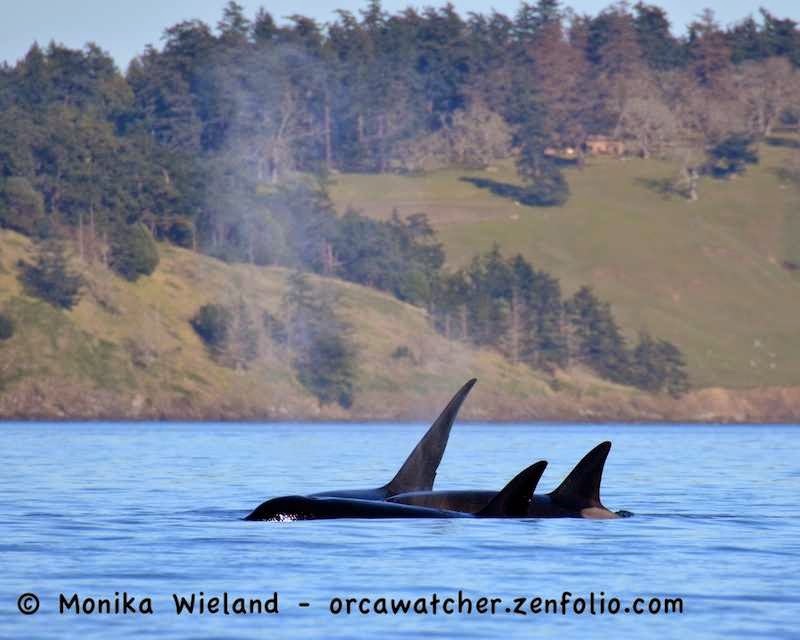 Around mid-day I heard about another group of transients on the west side of San Juan Island. 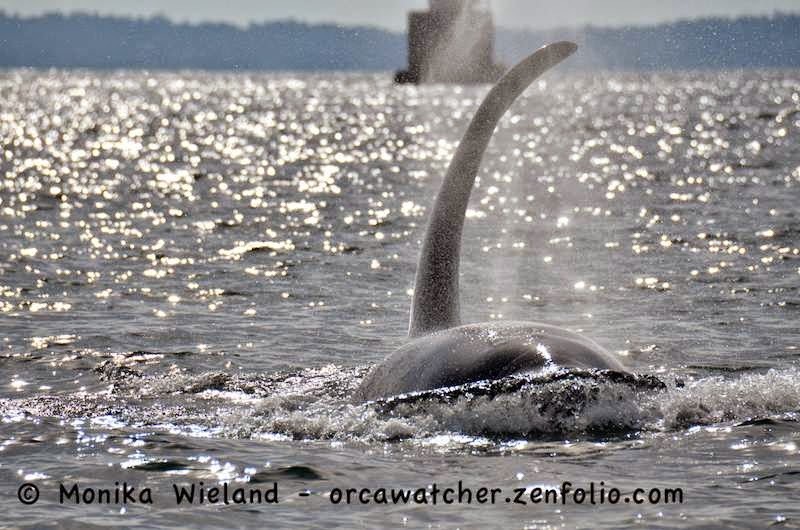 Several of us met up and took out Serenity, and we came across the first whales just slightly south of our home port. 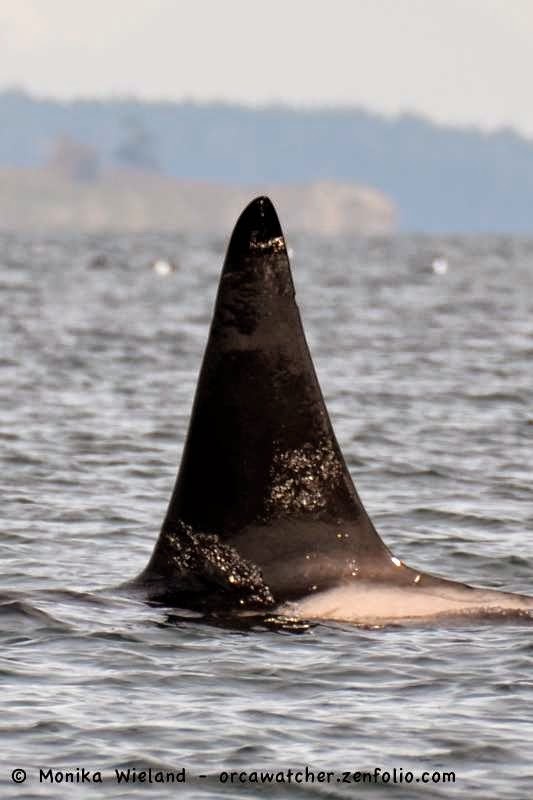 The first whales we saw were T137A and T137B; we knew their other two family members had to be around somewhere. 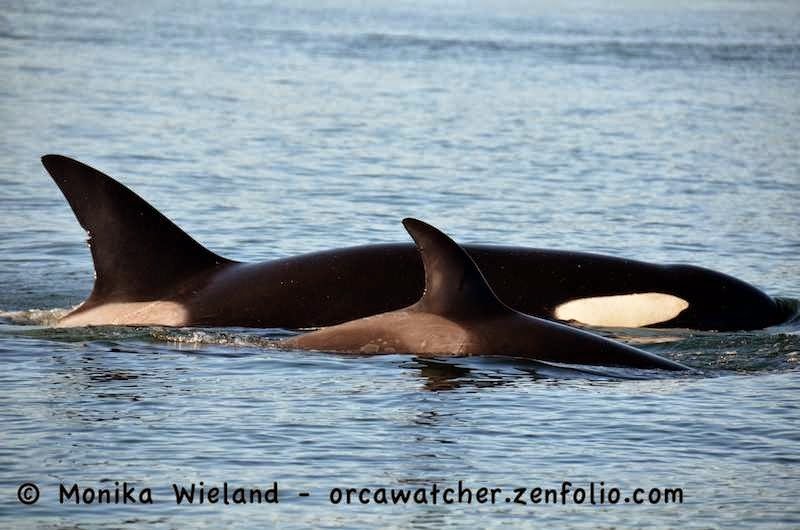 When these two whales went IN to Open Bay and gulls started circling overhead, we assumed they had made a kill, and this seemingly attracted mom T137 and the youngest, three year-old T137C. 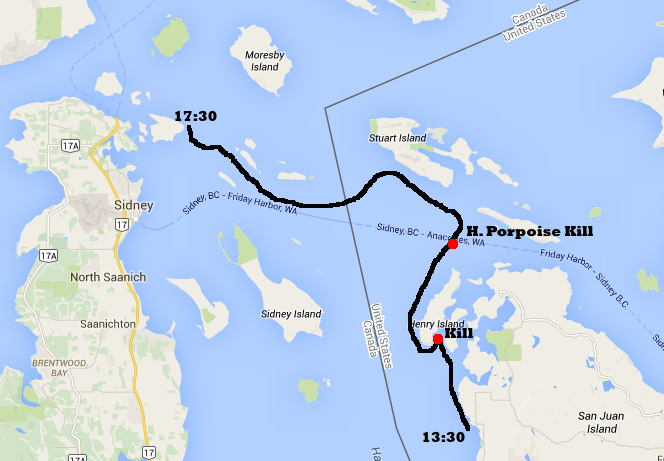 Eventually the whales came out of the bay and rounded Henry Island. Near Battleship Island we saw harbor porpoise speeding right towards us....away from the whales. Sure enough, they made another kill here, of a harbor porpoise. All the whales were circling and converging, undoubtedly prey sharing. What happened next was something I've never seen before. One of the whales (I later determined it was T137A) spyhopped, shaking its head back and forth (in head-banging fashion) with a piece of meat in its mouth. I was excited when I saw it, but even more so when I looked at the pictures later: the piece of meat was actually a fully intact harbor porpoise fetus!! Just imagine the dexterity required to remove that from the mother intact....I know many people are sad to see a photo like this, but it just left me in awe to witness it live! 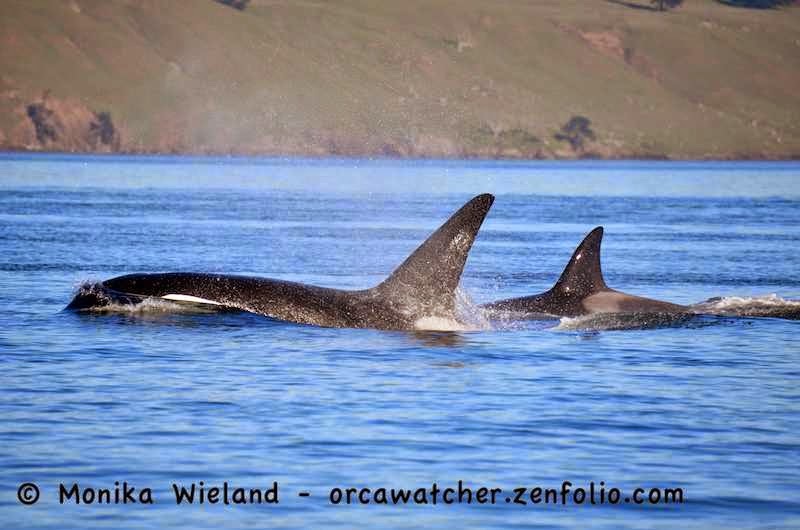 After finishing their meal and the four whales grouped up and started heading towards Stuart Island. About now most of the other boats on scene took off, leaving us with the whales! It's the first time I've had to try and track transients on my own. When they zig-zag all over the place and take long dives (these guys were going down for 6 minutes at a time) you never know where they might pop up next. Luckily, the waters were like glass so we could see them from far away regardless of where they popped up. 13 year-old male T137A. Focal length on the zoom lens was just 86mm for this shot! 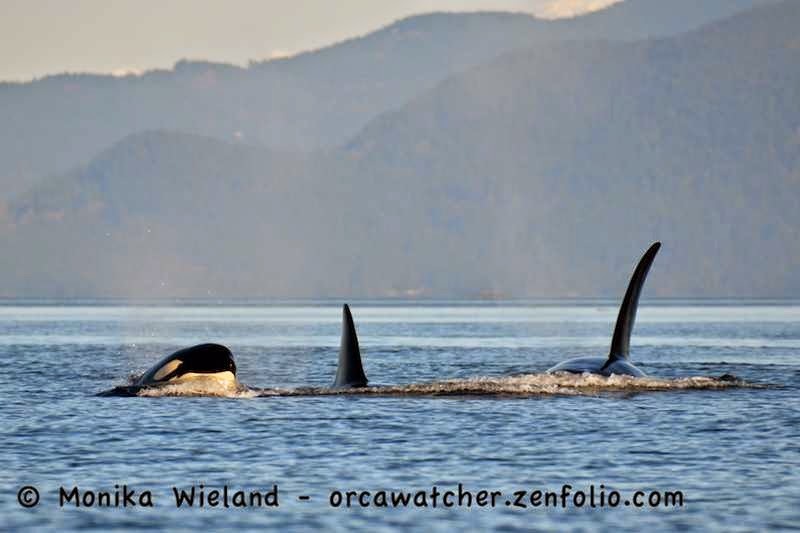 We followed them over towards Gooch in Canadian waters. The blows just got more impressive as the sun lowered in the sky. T137A split off from the other three for a while. We thought (or hoped) they might be trying to stir up something else to eat, but they seemed content to just slowly continue on their way. 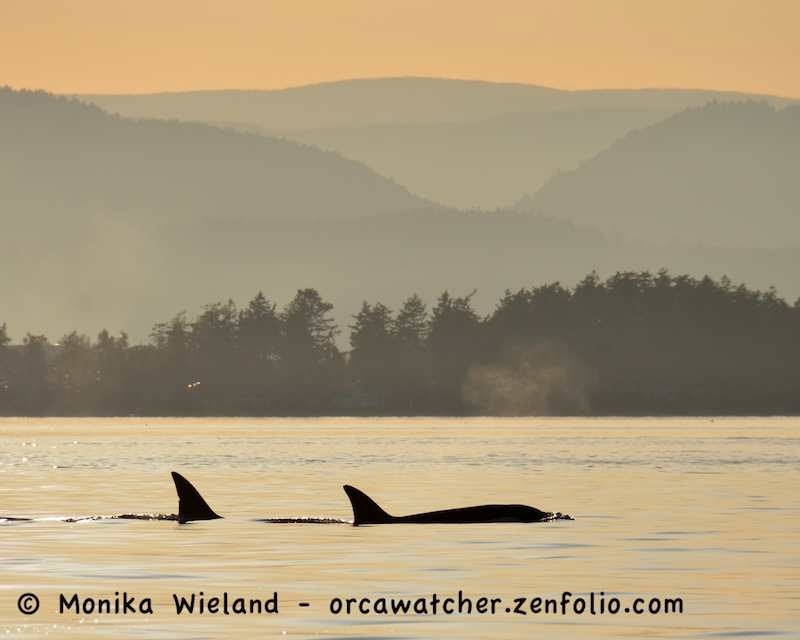 On the way home we got an unexpected grand finale when a few Dall's porpoise came over and rode the bow (and stern wake) on Serenity. It was the first time we've had playful porpoise on our boat, and it turns out our low-to-the-water ride is in the perfect splash zone for rooster-tailing Dall's! They drenched the windshield and some of my passengers before we went out separate ways. So far March is off to an AMAZING start!! A great read with, once again, super photos. That sounded like a fantastic trip. So happy for you! 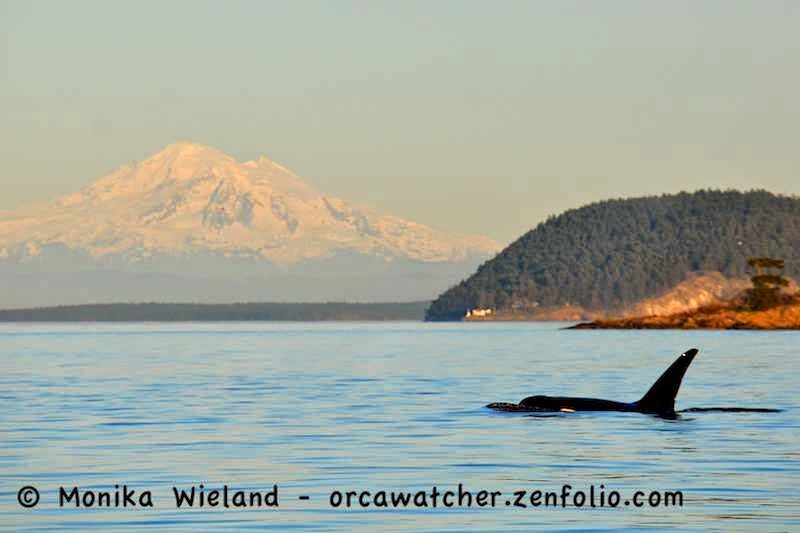 Those are "our" whales - they spent a big chunk of the winter in the South Puget Sound, in and around Anderson Island and the Key Peninsula - T137A is awesome up close, he is the one who loves to dive under boats and flip over on his back to take a good look. I'm sure he has another name written down somewhere but we call him Big Mike. My gf and I were at Lime Kiln St Park on Sunday with hopes of catching a glimpse of these majestic creatures. Thanks for sharing your pics and adventure!